One distinctive feature of Chocolaterie de Bourgogne is that, since 1973, it has focused its entire production force at a single site in the industrial zone north of Dijon. 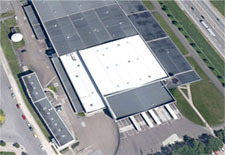 The plant is spread across three levels and occupies more than 60,000 square metres. 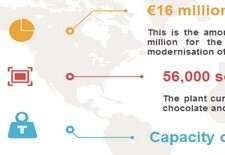 Activities are divided between the manufacture of chocolate and chocolate compound from cocoa liquor, and large-scale production of finished products for consumers in Europe, the United States and Russia.